BFS have around 70 years' experience of providing Essex farmers with all their needs, from fertilisers to farm equipment and fuel. They are also the leading suppliers of home heating oil in the county. The business was created by Anthony Cecil in 1948 and began life as a general farm contractor. Its prime job was to spread local cowshed dung onto the land! In 1955, spotting that 'gas liquor' - water that 'washed' gas produced from coal - contained nitrogen, he introduced it as a crop nutrient treatment, sourcing his supplies from gas works in Essex and Suffolk. 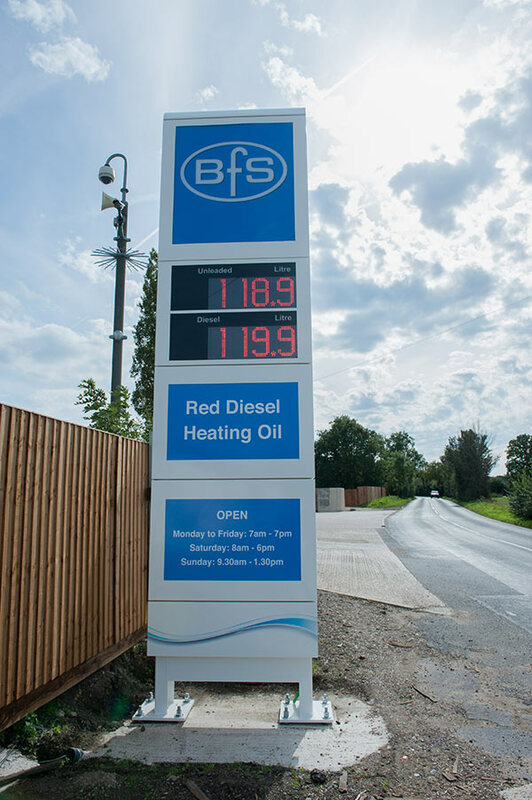 The company's experience in handling liquids soon led to its appointment as an authorised distributor for a major domestic heating oil manufacturer, supplying homes in Essex from a new BFS oil depot in Danbury. More recently, the company has also invested heavily in a modern tanker fleet. Today the three sister companies, Billericay Fuel Services, Billericay Fertiliser Services and Billericay Farm Services, continue to be run by the Cecil family. Working closely together, we have established a proud reputation for customer service, value for money and local knowledge. With nearly three quarters of a century's experience behind us, we know our industry, we know our area and we know what our customers want.